A few months back, we first uncovered WhatsApp’s plans to integrate voice calls into its app. Now, we’ve got another early look to share with you. It took Facebook a little over a year since the acquisition of WhatsApp to start incorporating its new asset into Facebook’s platform. 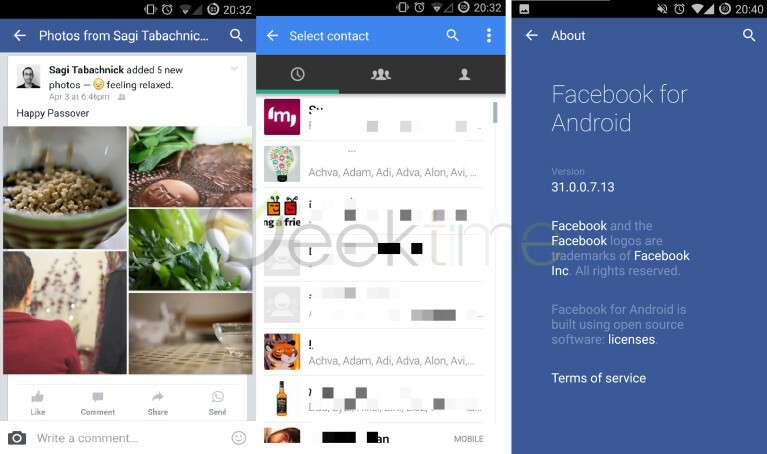 On Saturday, we learned that Facebook has begun testing a new feature in its Facebook for Android app (Version 31.0.0.7.13) that includes the first major integration of WhatsApp. 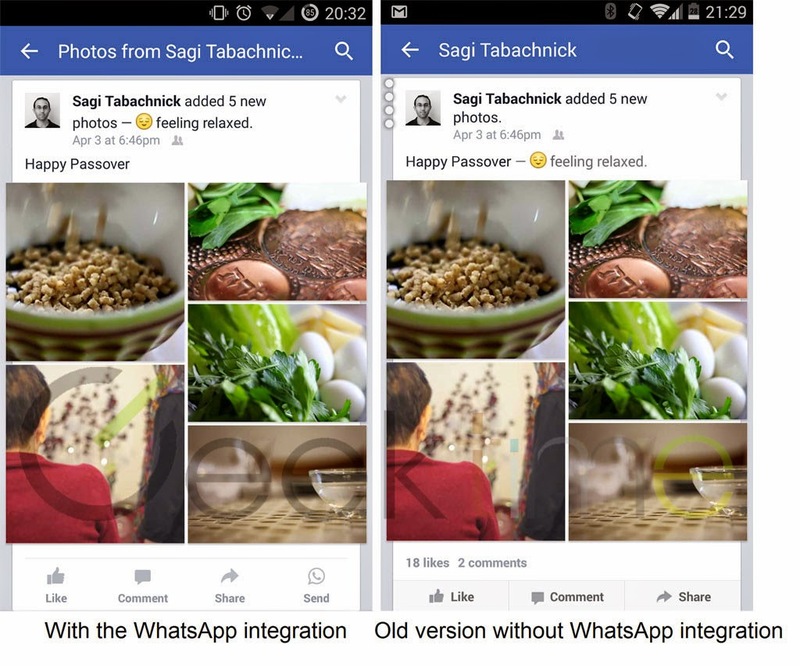 As you can see in the images above, Facebook has added a “Send” button with the familiar WhatsApp icon as a part of the status actions buttons that appear under each status update. The new button appears on the right side (for left-to-right languages) for some users in the most recent version of the Facebook for Android app. Here are more photos demonstrating the new update. We’ve known for a while that Facebook and WhatsApp work closely together to enhance each other’s capabilities. Back in the day it was Jan Koum, WhatsApp’s co-founder and CEO, who promised users after the acquisition that nothing was going to change and that WhatsApp would keep operating independently. Up until today, we hadn’t observed any integration between the two platforms. On the contrary, we’ve seen Facebook keep pushing its Messenger platform, especially with its latest announcement at F8. Now that this is out, we believe that this is merely a first step towards connecting the two platforms in order to sustain growth and take control of the messaging market together. According to unconfirmed rumors, teams from both companies are already working on a deeper integration that will include the ability to send messages between Facebook Messenger and WhatsApp.